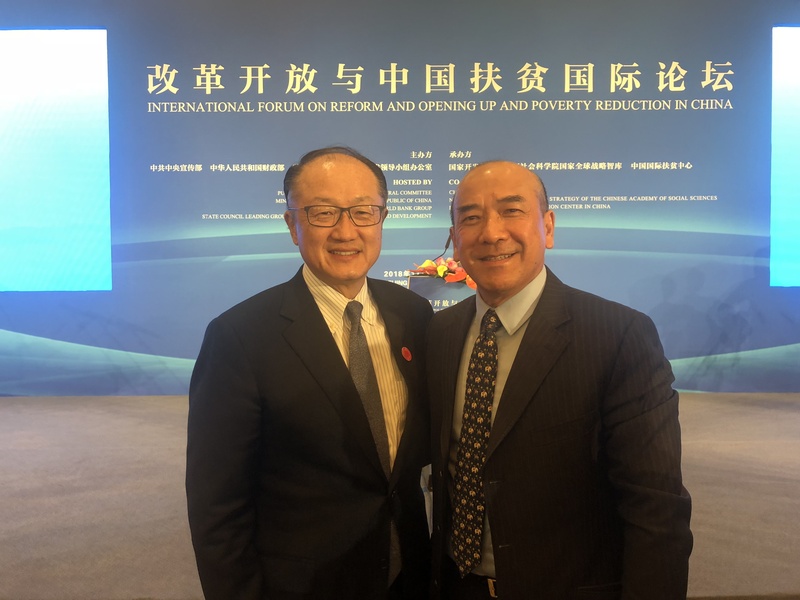 Tanoto Foundation Global CEO Dr Jean Satrijo Tanudjojo spoke at the International Forum on Reform and Opening Up and Poverty Reduction in China on 2 Nov 2018, sharing the Foundation’s many philanthropic efforts in Indonesia and China. 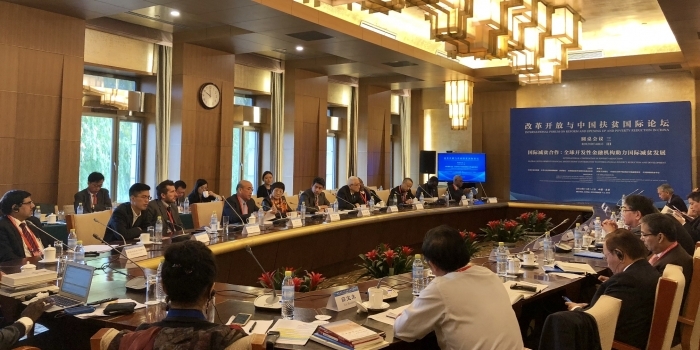 The two-day International Forum was hosted by the Chinese government and World Bank Group, and is in conjunction with national and international efforts in achieving the poverty relief goal set in the 2030 Agenda for Sustainable Development of the United Nations and its 17 Sustainable Development Goals (SDGs). It was attended by state officials, researchers, United Nations representatives, and delegates from financial institutions. Dr Satrijo’s speech highlighted the alignment of Tanoto Foundation and RGE business groups with the 2030 Agenda and SDGs – poverty alleviation among them. We believe that Quality Education Accelerates Equal Opportunity. Therefore, we harness the transformative strength of education to realise people’s full potential and to improve lives. For us, improving lives – including poverty alleviation – is not a job, but a lifelong vocation. Today, I would like to share a couple of project examples that the Tanoto Foundation and the RGE group of companies have embarked on to enhance communities and improve lives. I would also like to share an outline about one particular project that we envision in China in the Early Childhood Education and Development domain. We will embark on this project as soon as when we are ready, no later than early 2019. The first example is about working together with local communities through training and supporting them in the palm-oil farming program in Sumatra, Indonesia. The ultimate objective is poverty alleviation. 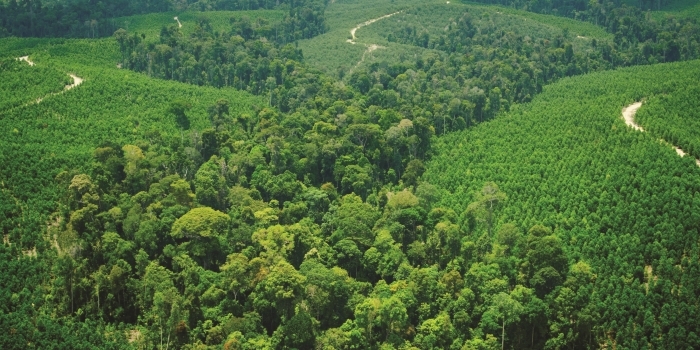 In the 1980s, the Indonesian government launched a farmer transmigration programme, known as the Plasma scheme, to move farmers from the densely populated Java island to sparsely populated islands such as Sumatra, Kalimantan and Sulawesi. According to the government’s plan, these farmers would own two hectares of land. 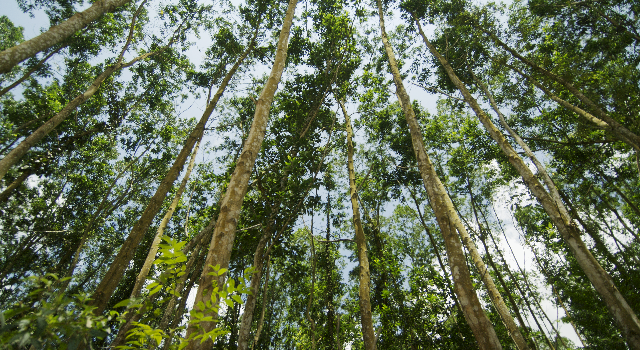 Asian Agri supports these Plasma smallholders, helping them develop land, providing them with superior tree species, training them in plantation management and obtaining sustainability certification, and purchasing their fresh fruit bunches at reasonable prices. All these helped improve their living standards. 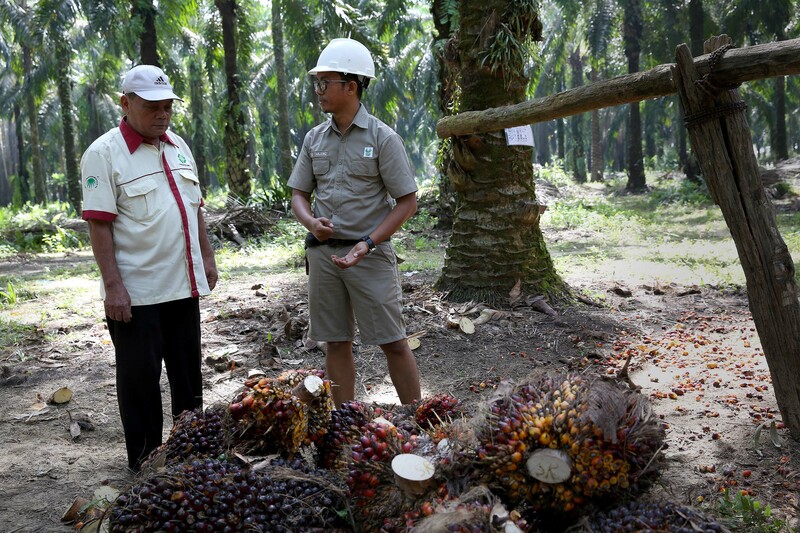 Since 2012, Asian Agri has started pilot projects with independent palm oil smallholders. 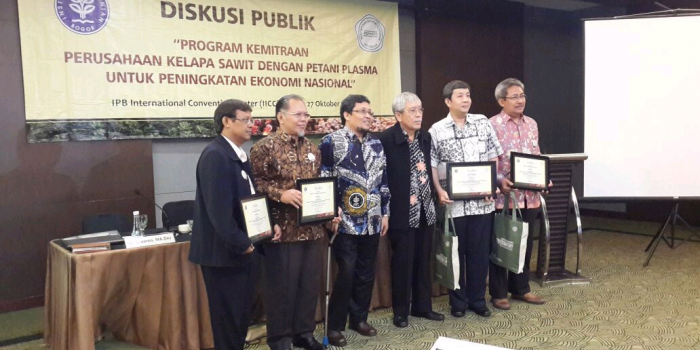 By the end of 2018, Asian Agri aims to cooperate with smallholders managing a total plantation area of 100,000 hectares – 60,000 hectares managed by Plasma smallholders and 40,000 hectares managed by independent smallholders. When they reach this goal, Asian Agri will become the only company with a “one-to-one” cooperation with smallholders, wherein the plantation land area managed by Asian Agri is matched by that of its partnered smallholders. This partnership is aimed at improving smallholder livelihoods. Our experience is that poverty alleviation is not about making a simple donation, but creating greater economic and social values, in collaboration with farmers. The second example is Tanoto Foundation’s contribution to education, aimed at alleviating poverty and improving lives. In ancient times, the Chinese had the tradition that “children from poor families should be committed to learning”. Tanoto Foundation has consistently put education first, providing support covering all stages of education from early childhood center, primary school to university; from under-privileged students’ grants, scholarships for outstanding students to teachers’ training. Through its programme to improve the learning environment in Indonesia, Tanoto Foundation has supported more than 500 schools, trained more than 5,000 teachers and benefitted more than 43,000 students. Quality education will improve lives. Tanoto Foundation has also given out scholarships to more than 7,000 under-privileged students, providing them with the opportunity of higher education, which in turn goes a long way to breaking the cycle of poverty. Likewise in China, the Tanoto Foundation has supported the development of 22 elementary schools and more than 50 projects in Tibet, Xinjiang, Qinghai and other poverty-stricken areas. In western China poverty-stricken areas, farmers are provided free skills training. There have also been efforts in supporting cultural and educational development in the country’s poverty-stricken areas. These come in the form of grants and scholarship, facilities improvement, and support of cultural and educational activities. Tanoto Foundation supports many other education-related activities. 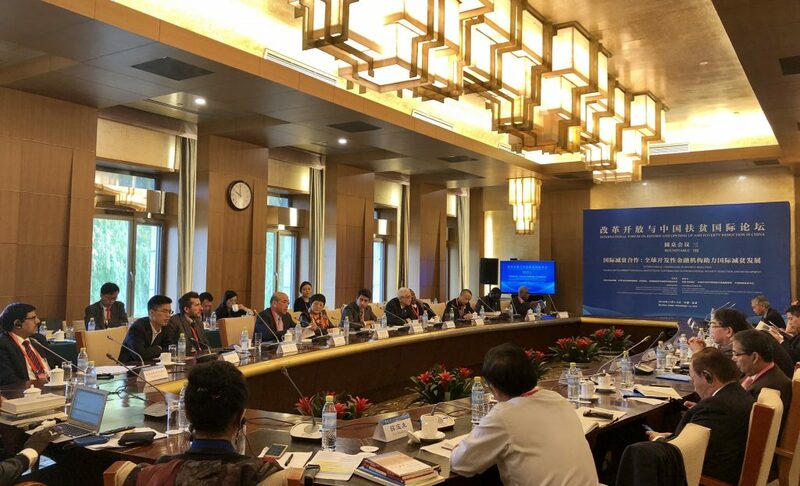 In the interest of time, I like to share one important contribution – a recent cooperation we had with the Chinese Language & Culture Education Foundation in conjunction with the Belt & Road Initiative (BRI). The cooperation covers the education & training of government and business leaders from China and participating countries. This also includes scholarships for BRI students majoring in Law and Public Administration. The objective is to foster greater understanding of the BRI and enhance cooperation. This contribution is ongoing. The third item I would like to share is our plans to contribute to early childhood education and development. Drawing learning points from the Shaanxi University and Stanford University study of children living in the rural areas, Tanoto Foundation is now planning to fund projects for the improvement of child care and education in the less advantaged counties in Shandong. We hope to start in early 2019. Tanoto Foundation and RGE group of companies will never forget the business philosophy of our founders: “A company must be good for the Community, good for the Country, good for the Climate, good for the Customer and only then it will be good for the Company.” Let us work together to create a better society, so that our next generation can enjoy more dignity, freedom and happiness. Dr Satrijo shared Tanoto Foundation’s poverty alleviation initiatives with delegates. Dr Satrijo has a chat with World Bank President Jim Yong Kim after the conference.